It’s easy to focus on academics and college transcripts when children become tweens and teens, but retaining the agency and creativity inherent in play is crucial for them, too. But what is the high school equivalent for the kind of inquisitive learning that happens when little kids play in the sandbox, finger-paint, build with blocks or play make-believe? "When your 4-year-old is dipping his hand in the rice table, he's learning really important things about tactile touch," said Denise Pope, senior lecturer at Stanford's Graduate School of Education and co-founder of Challenge Success. "Older kids need those same tactile, hands-on experiences to learn as well." Teenagers need creative outlets, just like elementary school children. Those experiences help open their brains in different ways, get them excited about learning and allow them to have fun. Playful learning can in turn lead to deeper engagement with school, better retention of learning and a stronger motivation to persist all the way through school. 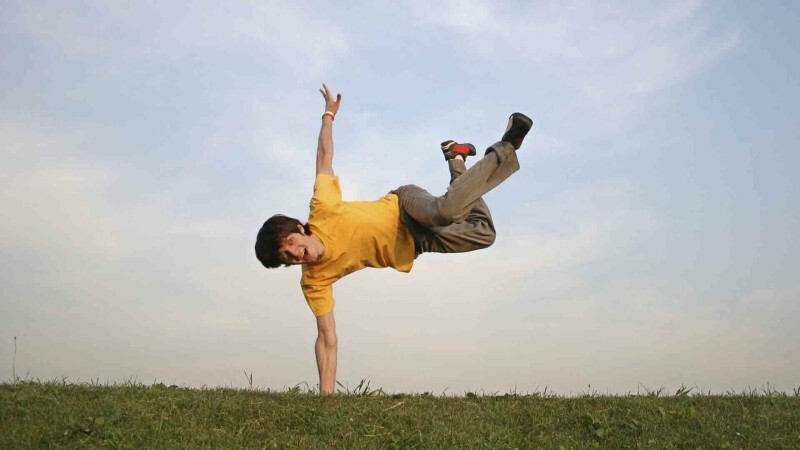 There are several ways to encourage teenagers to learn playfully. During free-choice time in preschool, kids are encouraged to choose their own activity: dressing-up corner, painting at an easel or even just reading a book. Older kids also like having choice built into their learning experience. "In the first book I wrote, 'Doing School,' there was a kid I was shadowing and she wanted to write a novel, and her teacher was like, 'Well, that’s great, but I can't give you credit, it can't count for a grade or anything,' " Pope said. "She was really discouraged." Allowing that student to write a novel for credit would have been a chance to encourage her to connect to her classes, Pope said. It’s much easier for students to learn deeply when they see the tasks as meaningful and the content as valuable to their future lives. Sandra Russ, professor of psychology at Case Western Reserve University, has researched the role of pretend play in child development. She agrees choice is important for teenagers. "It's important that they're doing it for its own sake. They're not doing it for a reward, they're doing it because they love it. Especially for teenagers, who are under a lot of stress," Russ said. Teenagers love the opportunity to invent, design and build things. At the makerspaces and "fab labs" that some high schools now have, students make jewelry, build guitars out of cigar boxes, design robots or lanterns, even sew their own clothes. A project that starts in physics class might end up in the fab lab, where students can actually see the theories applied in life. Makerspaces give teenagers a place to learn through exploration and imagination, while working collaboratively -- many of the same principles behind preschool play. 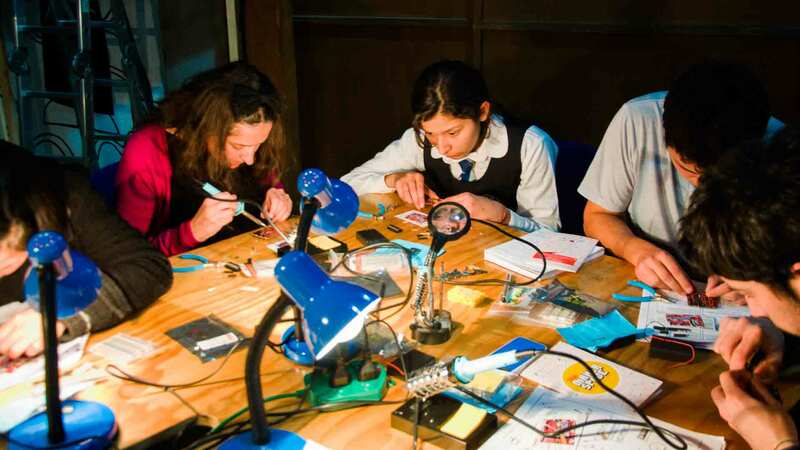 Though makerspaces often use technology, they don't have to. Many successful spaces are stocked with scraps of wood, soda bottles, soldering irons, PVC pipe and other easy-to-find supplies. "You're learning about Michelangelo, and to understand the context of his innovations, you may actually make one the way he made it, using wood and glue and old-fashioned tools like he used," Pope said. And when technology does make an appearance in a makerspace, it's still important to use it creatively. "If they're taught to use technology as a medium, just like someone would use a paintbrush, it's different than if they're using technology as a means to the end," says Mariah Bruehl of Playful Learning. "Give them technology, give them hammers, give them wood, give them real problems to solve, with lots of different tools to meet that challenge." Often, play for older kids takes the form of games, either video or computer games or traditional sports. But these kinds of games are often competitive and don't always foster creativity the way free play does. Encouraging teens to play more informal games, like pickup sports, or to play music with each other just for fun can be ways to let them play without emphasizing competition. "Extracurricular has become much more focused on winning or performing professionally," Pope said. "There is something to be learned from being in a professional production or a fully competitive orchestra. But there’s also something to be learned from putting together a garage band and jamming with your friends, or doing improv for fun." "Adolescent imagination is really different than kid imagination," says psychology professor Sandra Russ. "What they really need are creative outlets, which is really what pretend play is for children." Some teachers find that integrating the arts -- like fiction writing, dance, drama, graphic design, music, drawing, painting or ceramics -- into all subjects helps kids learn. Arts integration is more often done in elementary schools, but high school teachers can do it, too. "Teenagers need to find their talents and their interests," Russ said. "They need to see what they like, what they're good at. They need to see where their talents and enjoyment go together, so they need to try different things." Little kids use imaginary play to pretend to be grown-ups and prepare for life. In middle and high school, educators can give students real-world experiences and problems, and allow them to work alongside real-world experts. "Go beyond the walls of the school. Make-believe is them wanting to be engaged in the real world. That's where the magic happens for them," Playful Learning’s Bruehl said. At Quest to Learn middle and upper schools in New York City, students solve real-world problems, said Arana Shapiro, former co-director of the school and current director of school design at the Institute of Play. In one unit, students are challenged to come up with the design of their own restaurant, complete with budget, menu and brand. In another, students come into class and get news that their teacher has been kidnapped, and they have to collect fingerprints and look for clues. High school students are asked to come up with solutions for big problems like global warming. When putting real-world play into the classroom, students are more motivated when the projects are expansive, big ideas. The most successful teachers first think critically about the big ideas they want students to walk away with, and then find where those big ideas live in the real world, Shapiro said. "If you can figure that out, it’s easier to create situations and problems for kids to grapple with," said Shapiro. "When you start with content, and then you think about play, you often think about a game like 'Jeopardy' and the facts that kids need to know. If you can really dig deeper into the understandings you want kids to have five or 10 years down the road, those are almost always real situations." Little kids learn science best when they're using their hands and bodies and exploring for themselves. That's the idea behind inquiry-based science education at all ages. The Exploratorium's Institute of Inquiry defines the methodology this way: "asking questions, making discoveries, and testing those discoveries in the search for new understanding." In other words, students should be following the same processes real scientists use. "Some of the best scientists we know will say it's much more about creativity and innovation than understanding the basics of science. You have to know the basics, but you also have to have that creative bar to design an exciting experiment," Pope said. Jackie Gerstein's blog User-Generated Education. Self on the Stand: example of a ninth-grade language arts mission at Quest to Learn, where students contribute to TeenInk magazine's Discovering Identity series.